HEX: Shards of Fate have received a new content update, introducing its fifth set: Herofall. 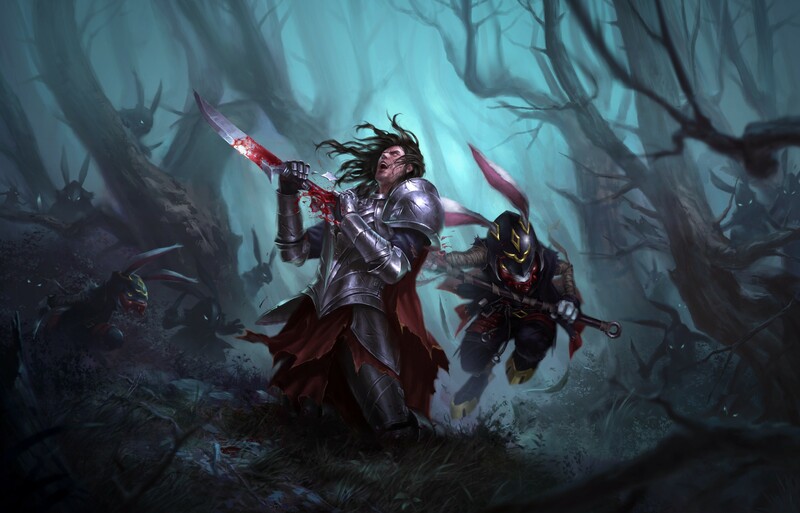 This content update adds 275 new cards, including 18 legendaries, and brings to the free to play CCG new gameplay mechanics: assault, which strengthens cards in the hand; Scrounge, which unlocks special bonuses by sacrificing a card; Valor, which provides troops with more strength; and Dreadlings, which allows to summon small and expendable creatures available for a single turn. Among all those 275 new cards, players will be able to get 77 rares and 18 legendaries. But that's all. This update alos introduces new equipment, mercenaries, card sleeves, 20 new socketing gems and 20 new champions.